Scotland have jumped two places to 10th in the IRB world rankings after at Murrayfield on Saturday in the Six Nations. The Scots had fallen to 12th after , a result that led to the resignation of coach Andy Robinson. 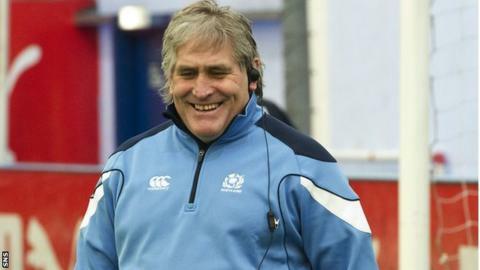 Their four-try win over the Italians has lifted interim head coach Scott Johnson's team above the Azzurri in the rankings. They have slipped two places to 11th. The top six places remain unchanged. New Zealand are still the top-ranked team, followed by South Africa and Australia. England and France are in fourth and fifth spots respectively, while Ireland, Scotland's next Six Nations opponents, are sixth. Wales' reward for their defeat of France in Paris at the weekend was to move from 10th to seventh, while Samoa and Argentina have each slid one place to eighth and ninth respectively.